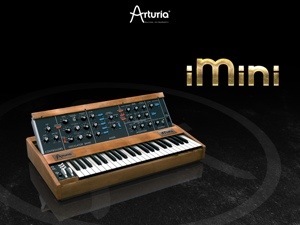 Based on the Mini V software developed in partnership with Dr. Bob Moog himself back in 2003, the iMini comes to iOS. Oh boy, what a treat! 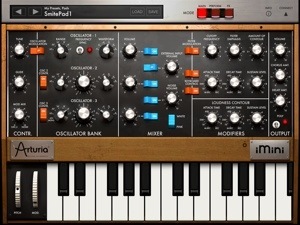 I haven’t had the pleasure of touching the legendary MiniMoog, so having a lovingly recreated version for our iPads to enjoy is very welcome. Some of the first electronic music I heard was from Klaus Schulze and Tangerine Dream. I marveled in the powerful structure of the music made in part with the amazing MiniMoog synth dreaming of one day having my own. Thank you Arturia for making that dream come as close to reality as possible for many synth lovers, myself included. Arturia really captures the nostalgia in both appearance and sound. Visually iMini is presented like a virtual replica that evokes a feeling of something very special from the past. iMini just looks like it could pop off the screen, and after touching a key the sound confirms its undeniable quality. As expected, the rich sonic capabilities are outstanding. I had no hints of disappointment with any of the presets, especially regarding patch making. 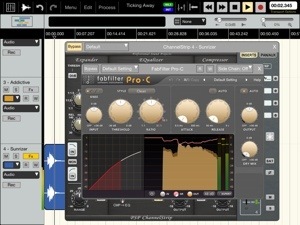 Big, fat, lead sounds erupt, deep rich pads swirl, wild modulated tones and combinations of all in between make ears smile. Get the picture? 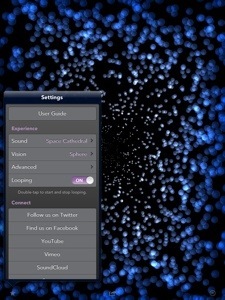 iMini was initially released focused on its integration with Retronyms’ “Table Top” application. I’m sure that was much to the delight of Table Top fans who’ve been craving a serious synth to enjoy. Unfortunately those of us with workflows that don’t take advantage of Table Top were left with a bit of dilemma. 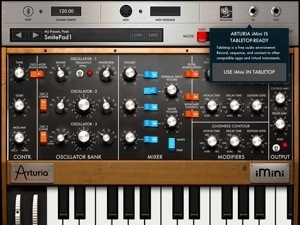 The fretting ended when Arturia updated iMini with Audiobus support. YES! That was the day I really perked up and obtained a copy of iMini leading up to this review. As I said, I wasn’t disappointed one bit. 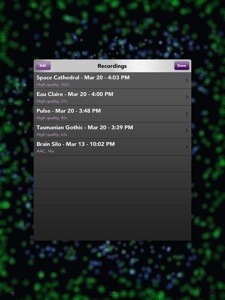 With only 3 simple screens to navigate by a quick button tap, I found it to be very playable on my iPads. The “Main” screen ( 1 ) is where all the sound designing is done with the 3 oscillators, filters, noise, mixer, shapes and so forth. 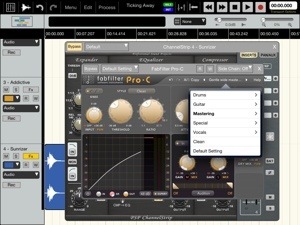 On screen 2 (Perform) there’s two X/Y pads with assignable modifiers on the screen which includes the keyboard. This is also where the simple but capable arpeggiator is accessed and manipulated. Having the two pads right there above the keyboard makes it very comfortable to perform. Screen 3 (FX) is where you’ll find, obviously, the FX. 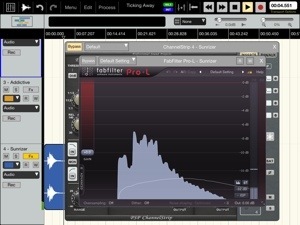 Two simple but good FX live here: Chorus and Analogue Delay. 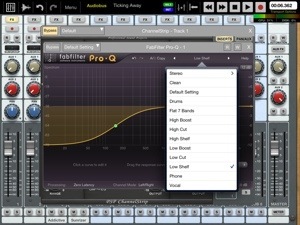 The Chorus has 3 types to choose from that each deliver varied chorus effects and unique sounds. 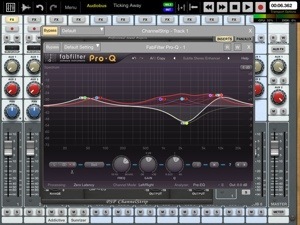 The Analogue Delay does exactly what you’d expect and can be synced. 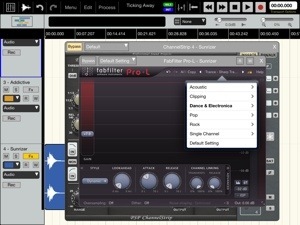 iMini is of course designed to support MIDI. 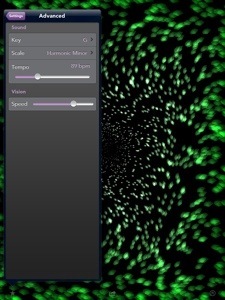 The controls for that and BPM etc are accessed by touching the “tools” arrow from the top right of the screen. 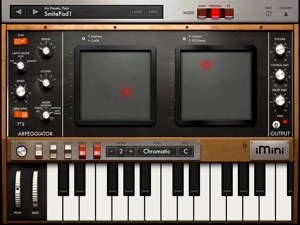 Similarly keyboard, scales, and keys are accessed by a little cog looking icon just to the left of the iMini plate above the keyboard. 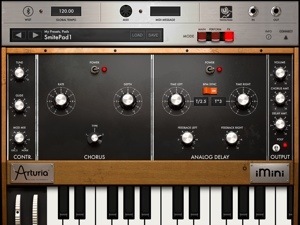 Overall iMini is a quality synth emulating the classic MiniMoog with great care. A unique sound quality from an era of music is offered now to anyone willing to pay the insanely low price. Low compared to the real thing, maybe a little higher than some App Store customers would prefer, but its worth it nonetheless. It may not be the first pro modeled analogue iSynth, but iMini is oozing with nostalgic style and sound that I dare say few could argue against. I suppose it could be a hard sell if you already have one of the other analogue iOS synths, but this is not worth passing up all the same. If you decide to buy iMini here is the link to the App Store. SmiteMatter.com Turns 2 & Thanks You. It had been nearly 2 years of making music on iOS. 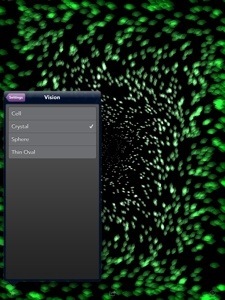 I made my 1st all iOS track on my birthday May 2nd 2009. I had already signed with an indie music label that would release my first all iOS made electronic music. That was FatelessFlowsRecords, (who had been and I think is still working their website?) and they released my first album “Technopolis Lost” in October 2011. Before that release, one of the things they asked me to do was a blog of some sort. I hated the idea. I didn’t want to do it at all. I didn’t think anyone would care, so what would be the point? They suggested (insisted really) I just write about what I was doing musically with my iPod Touch and iPad; the experiences and such. Again I thought it was uninteresting. I just wanted to make music and thought a blog would only be a distraction. After some thinking and a little pressure from FF to get moving. April 20th 2011, I decided to build a small page, tried out some names, and was gifted my domain name shortly after. I consider April 21st 2011, the “Birthday” as that was the day I committed to doing this and built the first page, but later scrapped it. It wasn’t until early May around my actual Birthday (May 2nd) I settled on a name, theme, and started posting, first official post was May 11 2011 on this blog. I decided to just write reviews of the music apps I liked and a little bit about how I used them. My niche would be that I would only write about the best apps I felt were good for people taking iOS music seriously from the artist perspective. I wouldn’t accept payment, or use LinkShare. If I don’t buy an app myself, I only accept promo codes to redeem music apps in exchange for an honest review. It would be, and has been, a service I hope to provide to anyone interested. I only want to be of some help. No news, press releases, or sales involved. Just reviews of the apps I use or would recommend, and sometimes post about my personal experiences as an artist using them. Simple. I am glad I did it. I’ve met (none in person) loads of really interesting, and talented people who have largely been very supportive of my blog and music. I have made friends, and learned a lot from everyone that has interacted with me. I have had the opportunity to experience numerous music apps I may not have otherwise had the chance to were it not for my blog. Some great apps, some mediocre ones, and on occasion a real turd hit my devices. I just didn’t write about the turds. Most developers I encountered were happy to have me write a review of their music app. Some ignored me completely, but those jerks were expected since most were huge names in the music business. They have no interest in real world end users with names they’ve not heard or seen in lights. The existing iOS music bloggers welcomed me warmly. I honestly was not expecting a friendly greeting. However they did just that. A few even very kindly helped me with my questions and offered helpful advice. They followed me on Twitter quickly, reTweeted my posts, invited me to write a few guest reviews for their .com, and even reposted my reviews on their site. They continue to show support today. It’s been a lot of fun, and only mildly stressful. I remember being contacted by a couple developers who I hold in high regard. Two developers in particular wanted to speak with me. The first developer invited me to a Skype chat. He wanted to tell me some things he thought were very important. Not one to ignore free advice from a knowledgable source, I accepted. We had a very friendly conversation, he offered great advice and I was very grateful. Its hard to remember the details but I won’t forget his name. Sebastian Dittmann. The other developer sent me a private message asking for my phone number and a good time to call me. I was really surprised, and it made me very nervous. I gave him my phone number, and waited for him to call. I was overly concerned about his intentions, and kept thinking I had somehow done or said something terribly wrong. When that call came, my nerves subsided and we ended up having a friendly chat about his music apps, and iOS music in general. When I asked him why he wanted to call me, he said, “just to say hi”. It was an enjoyable and enlightening conversation. Particularly memorable to me since it was Jordan Rudess, and I am a fan of his music and skill. Most interactions have been just as friendly, but always online somehow. Communications have been largely by email, or Twitter. My point is that I am very grateful to everyone who has taken the time to converse with me in any form. Whether it was just to say hello, chat, advise, help, or even counsel, all have been instrumental in how and why I continue on with my blog. Not to mention the support of my music in many cases as well. In closing I want to say with much sincerity, thank you for reading and supporting my little blog, and music for these first 2 (4 for the music part) years. I really hope you have found it helpful, useful and/or enjoyable. I will do my best to continue bringing much more as time goes on. Your support has made all the difference. If anyone feels especially supportive of my efforts, and since I do not ask for donations, preferring to exchange something for another, some of my 100% iOS-made music can be purchased from iTunes, Amazon, CDBaby.com, or most online digital music retailers. Just look or search for: SmiteMatter “Technopolis Lost”. No links, just if it feels right to you. It would certainly mean a lot to me. Artist first, blogger second. Additionally I want to thank the following blogs for early support, regularly reposting and or referring my reviews on their blogs and websites. I hope I didn’t leave anyone out. Tell me if I did so I can fix that. P.S. Say no to wires!